Located at the heart of Dublin city, Christ Church Cathedral is almost 1000 years old. It is Dublin’s oldest working structure, with an enormous crypt, magnificent nave and is an oasis in the city. The history of Christ Church Cathedral reflects the history, both religious and political, of Ireland. The Crypt is the largest in Ireland. Music forms a very important part of cathedral life and the Choir traces its origins to 1493 with the founding of the choir school. The cathedral choir has always been highly regarded in Dublin’s musical life and took part in the first performance of Handel’s Messiah in Dublin in 1742. The cathedral’s deployment of 19 bells, ranging in weight from a quarter of a ton to two and a quarter tons, represents a world record of numbers of bells available for full circle ringing. 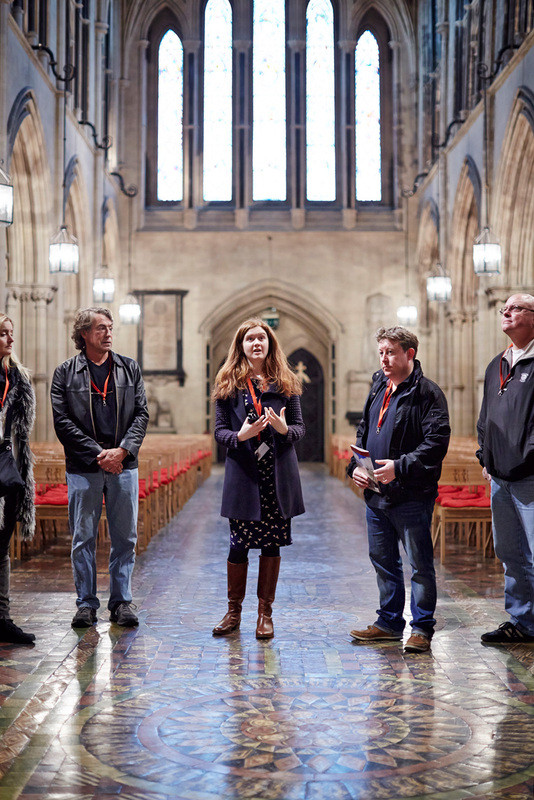 Visitors on a guided tour have the opportunity to ring the cathedral's bells. The crypt, now houses the important Treasures of Christ Church exhibition. The exhibition features manuscripts and artifacts that give the visitor some impression of nearly one thousand years of worship in the cathedral. Outstanding among the rare church silver is the stunning royal plate given by King William III in 1697 as a thanksgiving for his victory at the battle of the Boyne. The Treasury also plays host to a rare 14th Century copy of the Magna Carta Hiberniae which is the centrepiece of an exhibition launched by the British Ambassador to Ireland.